The Mills College Board of Trustees and other community members listen to testimonies from faculty and students on June 22, 2017. In the wake of what has been a tumultuous few weeks for much of the community of Mills College, apprehension among some faculty, students, parents and alumni has persisted as they await the outcome of decisions made to stabilize the college’s finances, which could include the elimination of several departments and the dismissal of up to eight tenured faculty members. The Mills College Board of Trustees will decide in a closed meeting in GSB from 9 a.m. to 1 p.m. Monday, June 26, on a financial stabilization plan that will affect budgets for the coming fiscal year, starting July 1, and beyond. If ratified in full, the current draft financial stabilization plan being considered by the Board would result in the layoffs of 11 ranked faculty members and the dissolution of numerous programs for incoming students, such as the graduate degree in translation and the major and minor in philosophy, as well as minors in physics, religious studies, and government. Changes would also include combining the ethnic studies and women’s, gender and sexuality studies departments into one, and incoming students pursuing an international relations major, which is based heavily on government classes, would be directed to the policy, economics, politics and law major instead. The Board of Trustees held a special open session in between closed sessions on Thursday, June 22, in which they were presented with overwhelmingly negative feedback about the current draft of the financial stabilization plan from students and faculty. During the first closed session, numerous students gathered to express their discontent with the cuts being considered, with some attempting to enter the closed meeting at one point. Concerned students and alumni of Associate Professor of Ethnic Studies Vivian Chin remained at their teacher’s side throughout the open session and after, holding signs and posting flyers in support of retaining the endangered faculty member. In addition to Chin, Professor of Philosophy Marc Joseph, Associate Professor of Philosophy Jay Gupta, ASMC Student Affairs Chair Mi Rae Park, student Amanda Lezra, Alumni of Color Committee Co-Chair María De Los Ángeles Domínguez, and Distinguished Visiting Writer Achy Obejas, director of the MFA in Translation, have shared their prepared testimonies from the open session. In the weeks leading up to the June 22 meeting, and following the announcement of potential cuts to departments and tenured faculty on June 6, college officials made additional efforts to ease the worries of concerned students and alumni. Following a Mills Commons meeting on June 12, in which details of the proposed cuts were laid out, Mills College President Beth Hillman and Provost and Dean of Faculty Chinyere Oparah answered questions and attempted to further explain details of the college’s financial emergency in a community forum on June 19. As Hillman noted on June 19, Mills’ financial difficulties are nothing new, and finances, including the college’s endowment, are more complicated than they might appear at first glance. Many funds are reserved for specific departments and purposes, while only some are available to be used for overall operating expenses. As Hillman noted, the portion of the college’s endowment allowed for operating expenses is currently “in the red,” and in the past fiscal year, Mills operated in a structural deficit, meaning money was borrowed in order to cover required operational costs. “We’re recognizing that we may not [be able to retain all our programs], and it’s very difficult to consider that any programs might not continue, even if we only have one or two people in them,” Oparah said, noting that the graduate program in math has had no students in the past few years, but remains difficult to consider eliminating. Students in some impacted departments, including philosophy and international relations, received emails providing assurance that all adequately enrolled classes scheduled for the fall would continue to be offered, and that they would be able to complete their degrees through classes at Mills as planned, regardless of the Board’s final decision. This, along with information laid out in the June 19 forum, is in keeping with a sheet of student FAQs, dated May 19 and compiled in a page from the president’s office containing other relevant information. In addition to actions by an administration seeking to ease tensions, several members of the Faculty Executive Committee refined an alternative financial stabilization plan that would leverage measures such as early retirements and pay cuts among faculty, a number of whom have already accepted these measures, in order to cut instructional costs without laying off tenured professors and eliminating departments. College officials have pointed to measures outlined in the faculty handbook as precedent for the dismissal of tenured faculty, as well as an expedited process in restructuring curriculum and instructional expenses. According to college officials, Mills’ current financial emergency is enough of an existential threat to allow for drastic measures. “All rights are subject to erosion in certain circumstances,” Hillman said on June 19, following concerns raised about the nature and continuity of tenure under the current plan raised by Professor of Philosophy Marc Joseph. As the FEC pointed out in an email sent to the college’s Board and administration following the June 22 meeting, concerns linger about the process used to justify proposing these cuts in the first place. Curriculum changes are typically considered and worked on by the FEC itself, and the current changes proposed have been under Mills’ bylaws. Dailey, who graduated in May, is already feeling the impact of some of the proposed cuts, as she prepares for graduate school and starts to seek out letters of recommendation from faculty she’s been close with, who might no longer be at Mills in the near future depending on the Board’s decision. While deliberating during their June 26 meeting, the Board of Trustees could decide to adopt the draft FSP as it stands, adopt it with some modifications, or adopt the counter-proposal offered by members of the Faculty Executive Committee. The decision could also be any combination of those options, or something entirely different. Although a plan will be ratified in the meeting and a new budget will be adopted for the upcoming fiscal year beginning July 1, it remains unknown exactly when decisions will be made public. 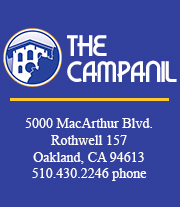 The Campanil will provide more information as it becomes available.